The changing seasons of our lives. They all follow the same pattern. Things begin slowly, tentatively, then gain force and with time and experience, they become all encompassing. Eventually you settle in and the wonder fades a little becoming something you take for granted though are loath to part with. Ultimately all things come to pass. Some people refer to this as chapters in the book of life, I’ve always thought of my milestones as seasons of my life. As I’ve grown older, I’ve learned not to mourn the passing of these seasons, but instead I acknowledge their existence and turn toward what comes next. 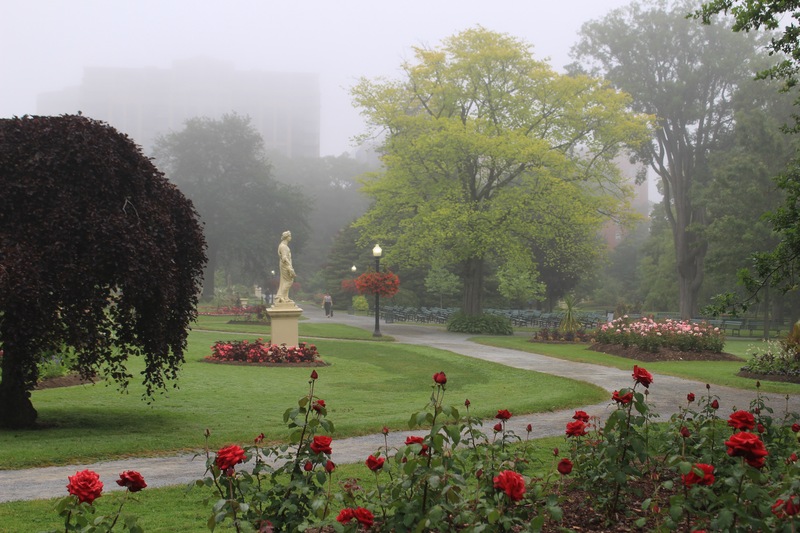 5 years ago, I began my alliance with the Public Gardens. My baby steps eventually led me to combine my love of horticulture, photography and history into a blog, doing tours, posting on social media, and being a member of the board. Of all my rolls with the Gardens, this blog became my favourite. Every week brought a new revelation and a deeper understanding of this wondrous place. I seldom planned what I would write, relying instead on the pictures that emerged from my camera to decide what my topic would be. It’s been an incredibly creative process and one that has been extremely rewarding. As serendipity would have it, the seasons of my life are changing yet again and the role I’ve played at the Gardens and with The Friends is slowly diminishing. 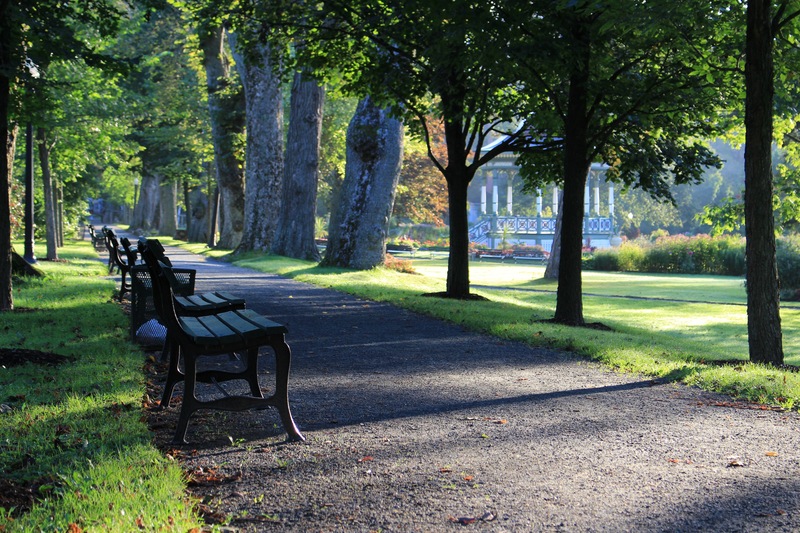 Time for fresh blood and fresh eyes to continue to tell the story of this wonderful green space in the heart of our city. But before I pass on the reigns I’d like to share some of my favourite photos or memories of the past 5 years. A last kick at the can so to speak, and a chance to say goodbye. 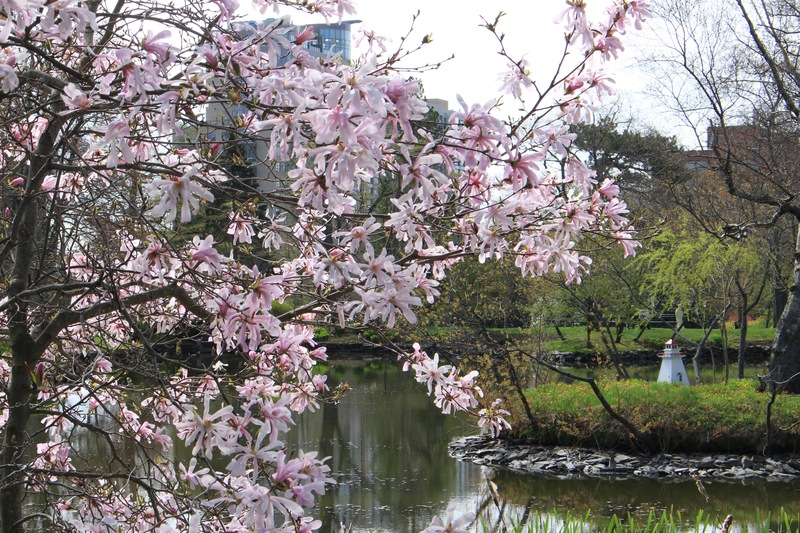 Magnolia stellata overlooks the lighthouse on the small island in Griffin’s pond in May. 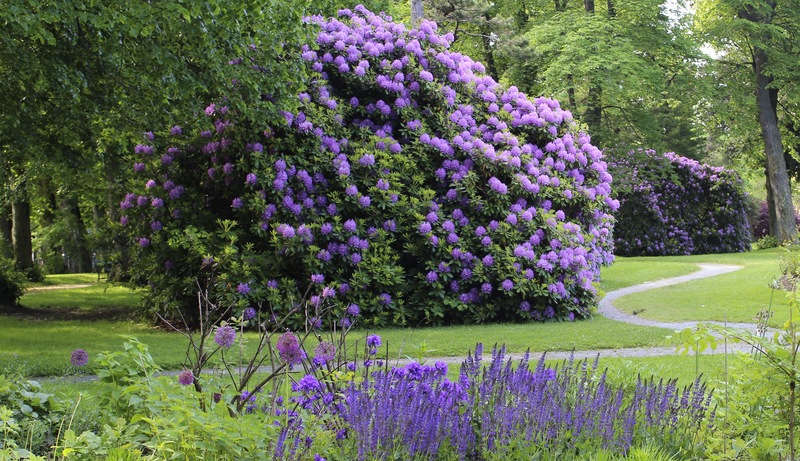 The Rhododendron walk as seen from the blue perennial bed. 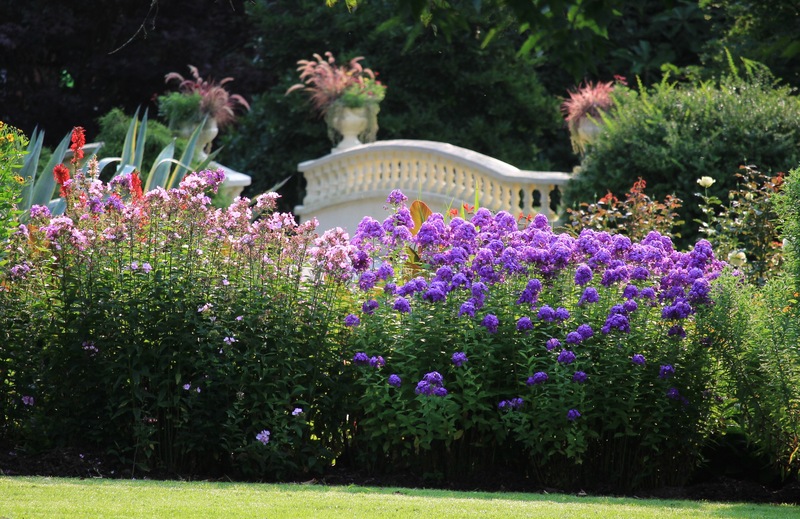 Mid to late June is amongst the prettiest time to visit the Gardens… certainly the most floriferous. 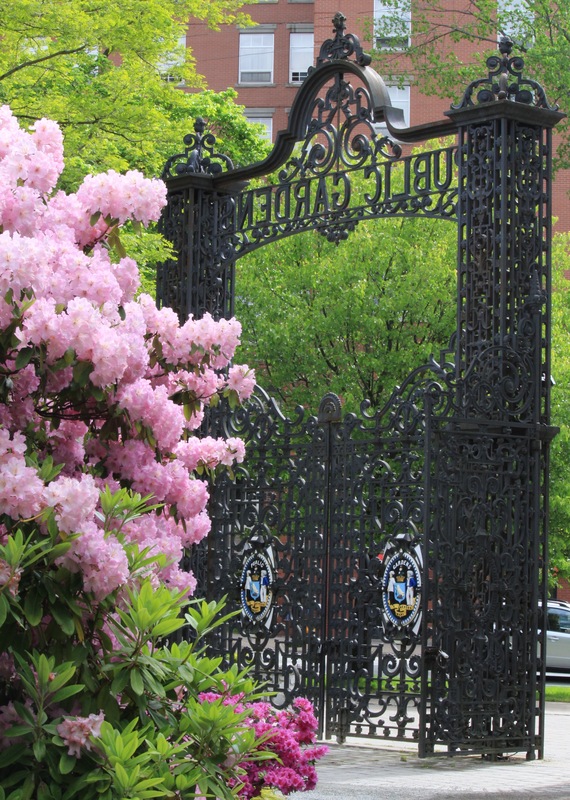 A collection of pink Rhododendrons welcomes the public, as they enter the Gardens through the main gates in mid June. 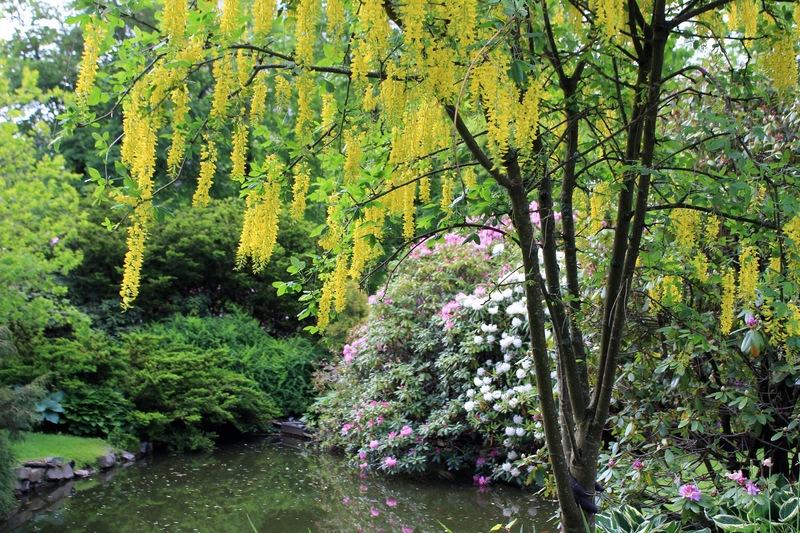 The beautiful and poisonous Laburnum tree (Golden Chain tree) in the lower pond beside the lower bridge in mid June. One of my favourite images which includes one of my favourite trees (the Golden Elm tree on the right) and these spectacular scarlet roses (Royal William), enhanced by a very Maritime occurrence… fog. I love how zoom lenses make the depth of field shallow, enabling a beautiful composition using the perennial bed in the forefront and the upper bridge in the rear. 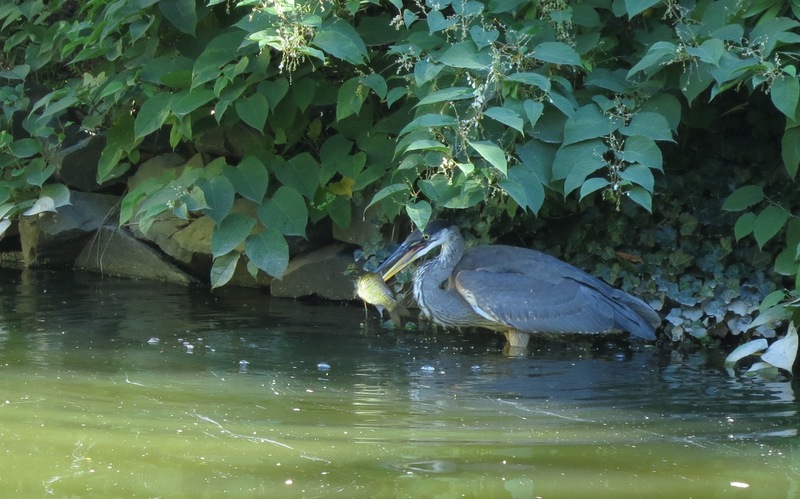 A frequent visitor to the Gardens in late summer and fall, I luckily managed to catch this blue heron in the act of securing her meal. 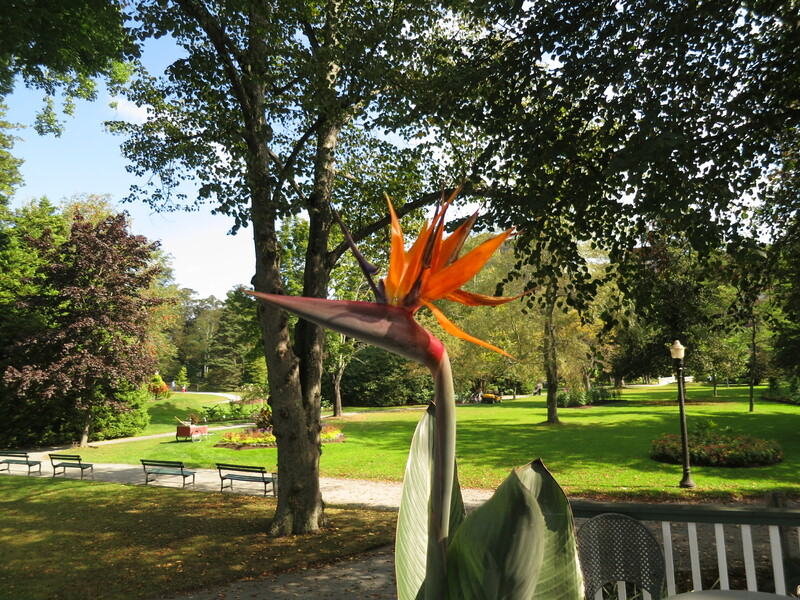 A bird of a different feather… This bird of paradise in a container on the deck of the cafe, lives up to it’s moniker. 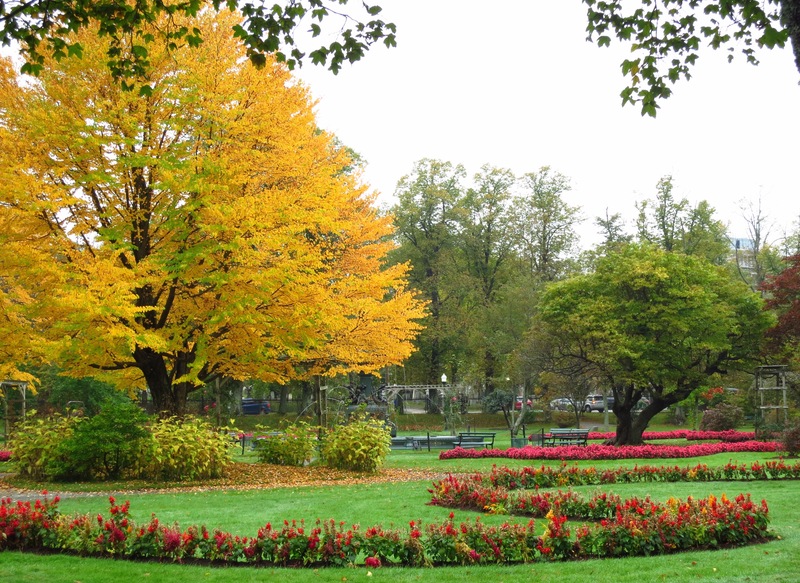 After 140 odd years in existence, the Grande Allée just keeps getting grander in spite of the odd hurricane or two. The Power memorial baths shine the light on a very talented and influential family. 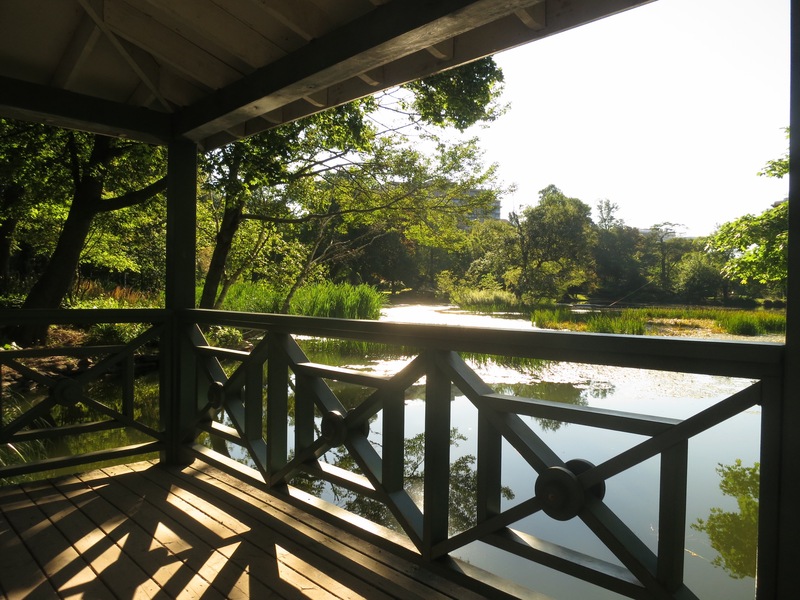 The Gardens wouldn’t be the same without Power’s 75 years at the helm. 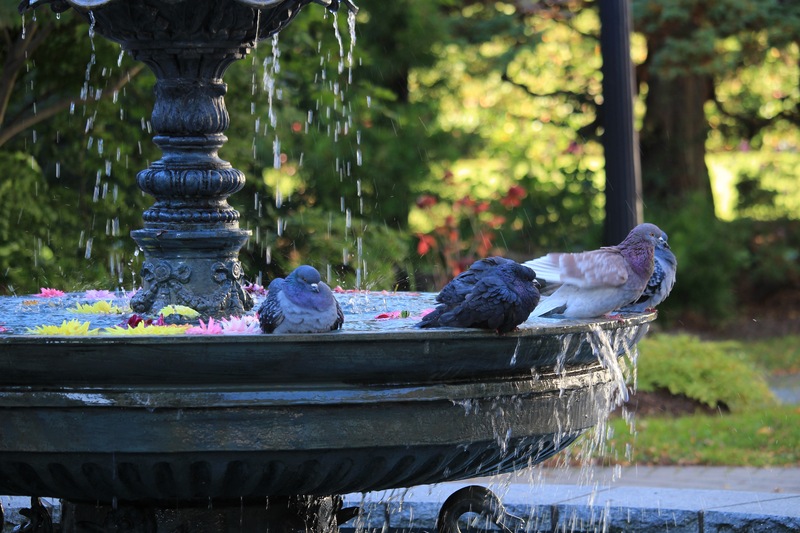 The Swan fountain by Horticultural Hall Plaza got decorated ahead of the pigeon party, courtesy of a gardener with a poetic heart and a love of recycling. No sense in wasting those Dahlias after they’ve been removed from the beds. 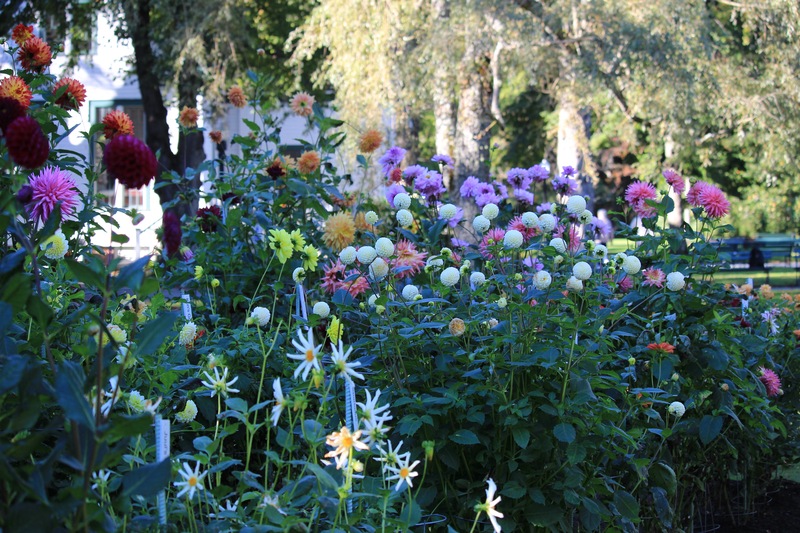 One of the two award winning Dahlia beds at the Gardens. My favourite mosaiculture. 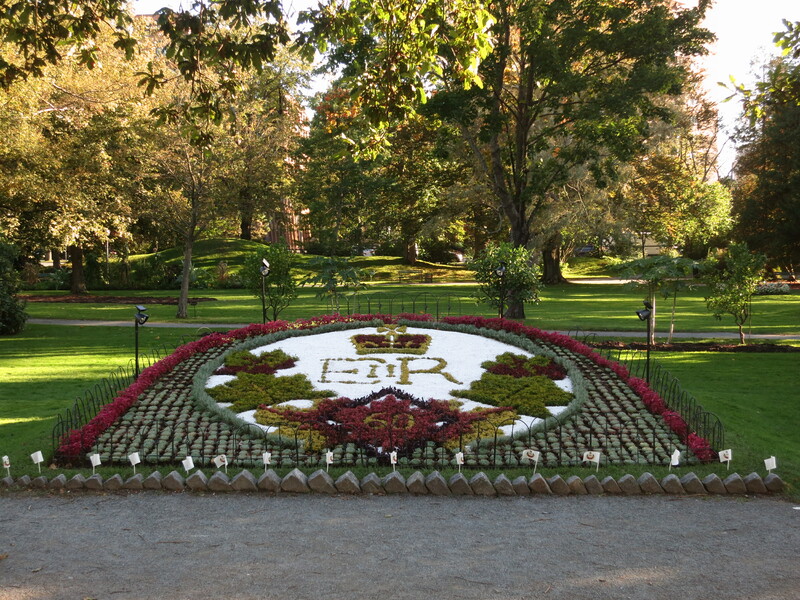 One of the carpet beds celebrated HRH Queen Elizabeth II’s diamond jubilee in 2012. The magnificent Cercidiphyllum japonicum (Katsura tree) does it’s thing turning a beautiful golden/coral colour while scenting the air with the perfume of cotton candy. 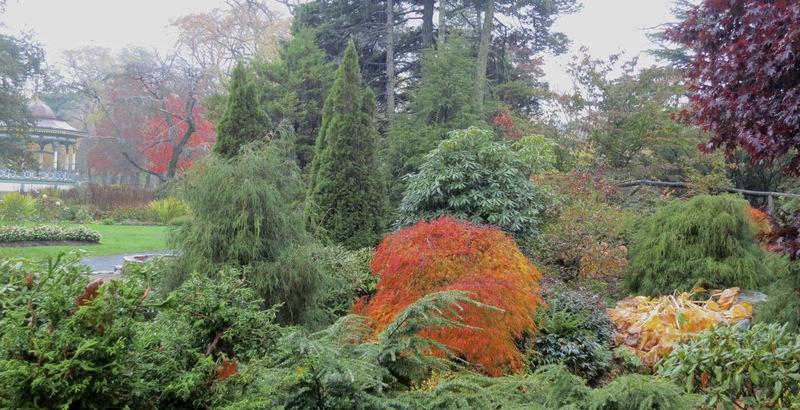 This is what happens when it’s drizzling and cold and you really don’t feel like going into the Gardens to take photographs. Kind of like when you go to a party you really don’t feel like going to and have the best time of your life. Another one of those cold photographing days. 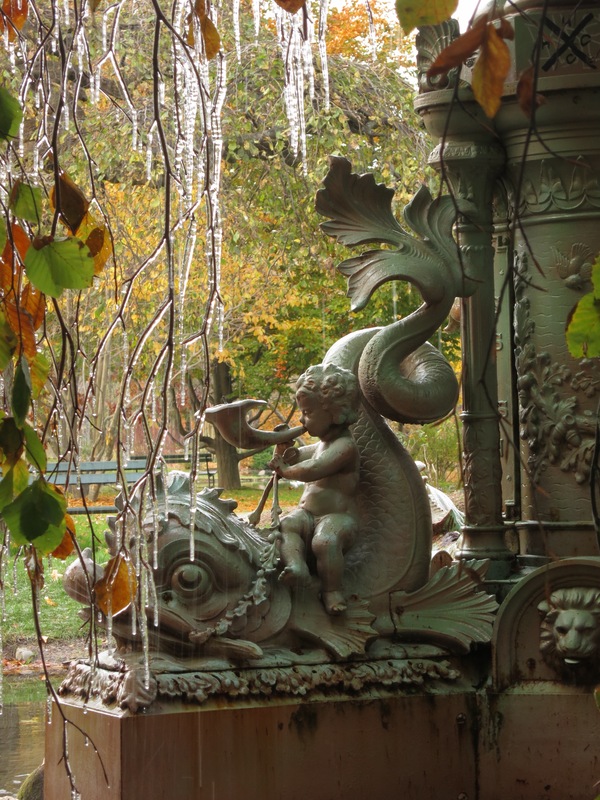 The flowing water had frozen on the pendulous branches of the Fagus sylvatica pendula (Weeping European beech). The inauguration of the Victoria Jubilee fountain on the night of Nocturne 2012 was a magical experience. Not only was the Gardens open at night, but the fountain was lit up with a changing palette of colours while Handel’s water music played in the background. To watch the video click on the photo. A picture taken through the Gardens fence. Horticultural Hall, home of great ice cream (brrrr), and a special holiday celebration which always gets me in the spirit of the season. Thank you for coming with me alongthegardenspath for the last 5 years. Your comments and emails kept me going when I though there was nothing left to photograph. 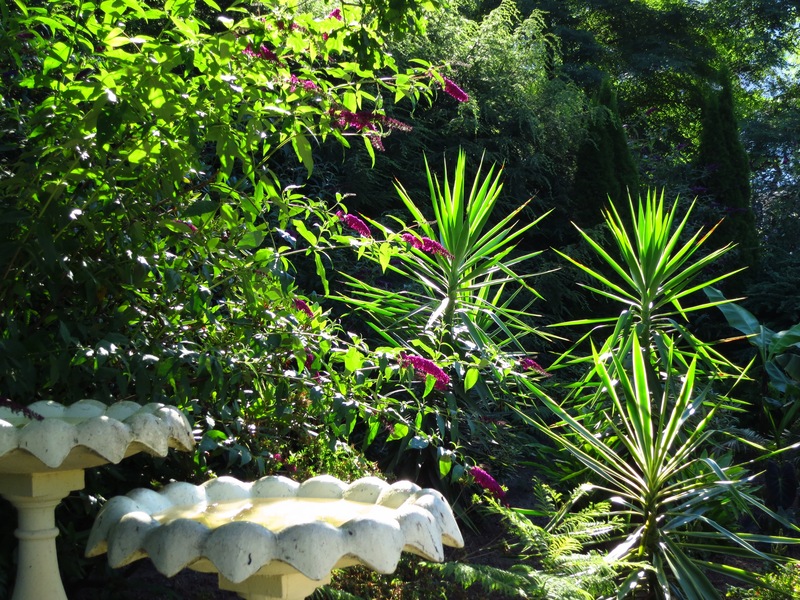 Hopefully I’ll be allowed to contribute occasionally from beyond the Gardens path, and share other gardens with you. In the meantime, I’ll still be leading my tours in the summers and I’d love to have you join me. Hasta pronto, see you soon, a bientôt and até logo. All copy and images copyright © Serena Graham-Dwyer, 2011- 2016. If you wish to use any part or whole of an image, in any manner, please contact us.